Through proper training your profiles come to life and become user-friendly and applicable to everyday business situations and provides focused direction for your employees to put to use right away. 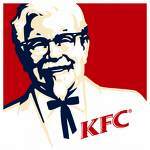 Use the audio player below to listen to a testimonial recommending Drew from the director of Training & HR at KFC. Just had to tell you how awesome your consultation was for my company. Everyone is talking about DISC and classifying people outside of our team. Your laid back disposition put everyone at ease for a training session that I know some of them were not comfortable with. Thank you! Dr. Rozell’s presentation gave our staff needed insight to the DISC Profile and how we can incorporate that knowledge into our work groups. He made the learning process fun, interesting and everyone came away with increased self-awareness. To view/download Dr. Rozell’s Trainer Info Sheet, please click here. Where most companies are happy to sell you reports and wish you the best, we pick up where many leave off. We believe to truly get results, you must actively engage in the learning from your DISC profile. Otherwise your assessment becomes nothing more than an interesting activity to fill up time at work. We are committed to your results and offer a variety of training levels that achieve just that. Depending on your company’s needs and goals, we can assess what level of training would be most effective. We most enjoy working with organizations and individuals that are looking for lasting success (not a quick-fix) and a progressive approach to problem solving. We offer three types of training levels for DISC Reports.com clients. All new DISC Reports.com accounts gain access to a members-only website that includes self-study tutorials and resources to help you get the most from your reports from the comfort of your personal computer. Distance learning via customized telephone seminars to address your company’s needs. Similar to a conference line discussion, our resident DISC expert, Dr. Drew Rozell, will personally lead your group through an engaging and interactive training session that answers your DISC questions and leaves you confident in applying your new insights at work. Excellent as a first step into DISC education and support, and especially for companies with team members in different locales. Our expert comes to you. Dr. Drew Rozell expertly leads a variety of training sessions for team building, improving workplace communication and optimizing performance. Perfect for executive conferences, manager meetings, and worksite events. All training sessions are customized to meet your company’s needs and goals. Please contact Dr. Drew Rozell directly for training ideas, quotes and availability.